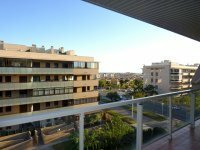 VILLAS AND APARTMENTS TO RENT IN SALOU, SPAIN. 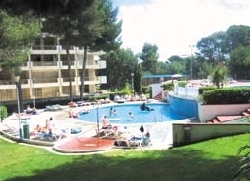 Welcome to our selection of holiday homes to rent in Salou, Spain. 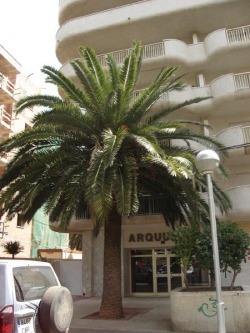 Salou is considered one of the principal cities in the province of Tarragona. Originally, used as a port by the Greeks and the Romans and has been used as a port throughout history to launch war ships from. The Salou promenade is one of the most beautiful paseos in Spain and runs alongside some of its splendid sanded beaches. The biggest beach is the Levante and it is accompanied by others such as the Platja de Ponent, Platja dels Capellans, Platja Llarga and Cala Crancs. For the children and the fairground enthusiast there is Port Aventura previously owned by Universal Studios. It boasts many good rides including the Furius Baco, which is reputed to be the fastest Roller Coaster in Europe. Tarragona is not too far away either and Barcelona is about a ninety minutes drive away, so any other sports, amusements or any other sightseeing can be extended or enjoyed. 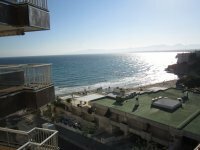 Looking for self catering holiday accommodation in Salou? Then below is a selection of holiday apartments in Salou and holiday villas in Salou that can be rented direct from their owners. You can either click on each listing for further details or you can use our search engine on the left if you are looking for something in particular.